The Dinah Shore Scholarship receives tremendous support from Kraft Foods, Inc., the Fund's largest corporate donor, and the Kraft Nabisco Championship, one of the LPGA Tour's four major championships. The Dinah Shore Scholarship is granted annually to a female high school senior who is pursuing a college education, but will not be playing collegiate golf. One $5,000 scholarship was awarded in 2018. 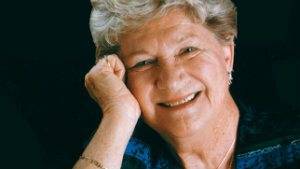 The Marilynn Smith Scholarship will be awarded to high school seniors who will be playing golf at the collegiate level. Thirty $5,000 scholarships were awarded in 2018 to the most highly-qualified candidates. 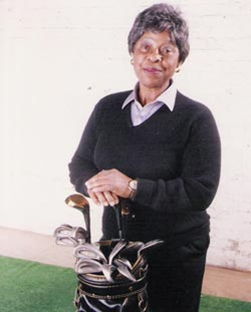 The Phyllis G. Meekins Scholarship is a need-based award granted to a high school senior from a recognized minority background who will be playing golf at the collegiate level. Qualifications for all scholarships include strong academic programs, community service and recommendations. One $1,250 scholarship was awarded in 2018. 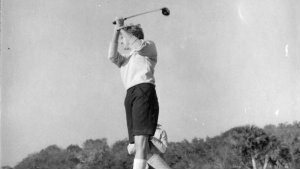 Goldie Bateson was considered a pioneer in the field of women’s golf instruction and became the first female head golf professional in the state of Wisconsin. 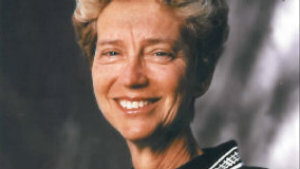 In recognition of her accomplishments, she was honored as LPGA Teacher of the Year and received LPGA’s Ellen Griffin Rolex Award, the National Golf Foundation’s (NGF) Outstanding Service Award, was named Honorary Golf Consultant with the NGF, and was inducted into the Wisconsin State Hall of Fame. The Goldie Bateson Scholarship is an initiative of the LPGA Teaching and Club Professionals (T&CP) Midwest Section membership and is awarded to junior golfers between the ages of 7 and 17 who have an interest in learning and playing the game of golf. Ten $250 scholarships will be awarded in 2018. Eligible candidates must reside within one of the following LPGA T&CP Midwest Section States: Minnesota, Wisconsin, Michigan, Iowa, Illinois, Indiana, Ohio, Missouri, Kentucky, Arkansas, Tennessee, Louisiana, Mississippi, or Alabama. 2019 Scholarships will be available in August. The LPGA Foundation has a tradition of taking care of its members and others in the golf industry. The Financial Assistance Fund was renamed the Dolores Hope LPGA Financial Assistance Initiative in 2007 to acknowledge Hope’s generous support of the fund and her long-time friendship with the LPGA. The Marge Burns Education Grant is available for LPGA Teaching and Club Professionals and is awarded to assist with the expenses of attending LPGA Certification Programs or Continuing Education workshops or seminars. 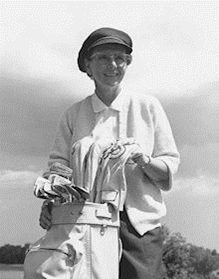 Established with a bequest from Marge Burns, the grant recognizes the importance of LPGA Certification and Continuing Education for LPGA Teaching and Club Professionals. Applicants must be an LPGA Teaching and Club Professional member in good standing. Applicants must submit a completed application. We ask that you provide details about the reason why you are requesting assistance. 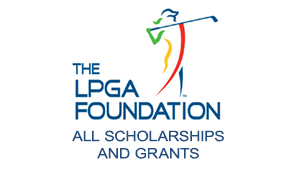 For more information about the Marge Burns Educational Grant, or to inquire about receiving assistance, please contact the LPGA T&CP at tcpmembership@lpga.com. In memory of the late Dr. Dede Owens, the LPGA Foundation established the Dr. Dede Owens LPGA Golf Education and Research Fund. 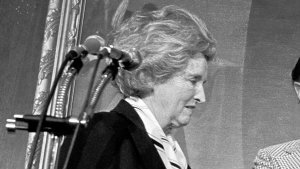 Owens, who was one of the country's leading teachers, a past national president of the LPGA T&CP membership, and a 2001 inductee into the LPGA T&CP Hall of Fame, was actively involved in teacher education and developing teaching guidelines for individuals with disabilities. The fund supports ongoing LPGA golf education and research projects, with which Owens was involved, as well as the future development of LPGA golf education, teacher education, and golf research initiatives. The fund also has several ongoing projects, including golf education publications, the development and implementation of the LPGA Teacher Education Program for Accessible Golf, and teaching research. To contribute to the Dr. Dede Owens Education and Research Fund and its mission, please Click Here to make a donation online or download the LPGA Foundation Donation Form to mail your donation.